How can I edit a Designed Catalog template? 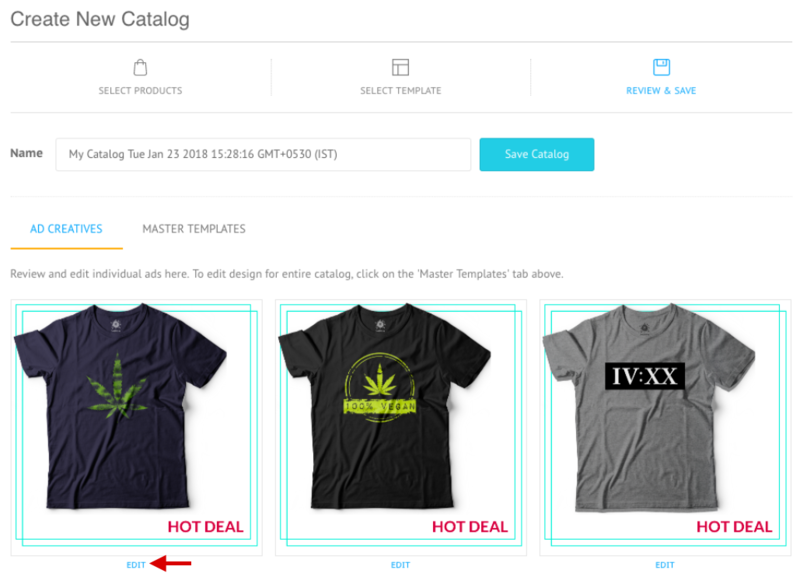 Steps to customize your Designed Catalog. There are two ways to go about editing a Designed Catalog template. 1. Click on Edit under the Ad Creative to customize a single creative. 2. Here you can change up the colors, edit text (step 3 onwards), or change background (step 3 onwards). 3. Select Save and then Publish / Update Catalog once you're done with edits. 1. Click on Master Template and then click Edit under the template variation in use*. 2. You can change up the colors, edit text (step 3 onwards), or change background (steps 3 onwards). 3. Select Save and then Publish / Update catalog. *For changes to apply to ALL creatives, make sure that you have customized the variations in use. 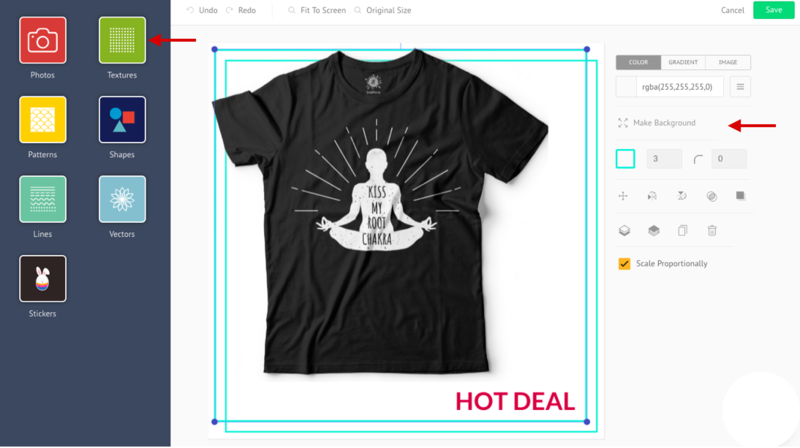 Can I change product image in my Catalog? My Designed Catalog template looks different from the one I chose, what did I do wrong?